Rapha Grey Rare De Ronde T-shirt Size S Small Logo Limited Edition. Condition is Used. All Sales are final please refer to photos for condition as no returns accepted. Dispatched with Royal Mail 1st Class. Well worn Rapha Green Cycling T-Shirt La Primavera S Size small. Condition is Used please refer to photos as this item has been well worn hence low starting bid. Dispatched with Royal Mail 1st Class. All sales final. Rapha Rare Giro Italia Pink La Corsa Rosa Logo T-shirt Size S Small Tee Top. Condition is Used. Dispatched with Royal Mail 1st Class. Rapha Merino Sweatshirt Navy Size S Small Blue Sweater Jumper Cycling. Condition is Used. Item has been well worn hence low starting bid. All sales final no returns, grab a bargain. Dispatched with Royal Mail 1st Class. Rapha Windproof City Shirt - Medium (AW 2012) Used, In Great Condition. Rapha Green Rare Tour Of Britain Van T-shirt Size S Small Limited Edition. Condition is Used item Has been well used hence low starting bid. All Sales are final please refer to photos for condition as no returns accepted. Dispatched with Royal Mail 1st Class. Rapha Merino Polo Grey Small. Condition is used. No returns. Rapha Merino Sweatshirt Grey Size S Small Jumper Sweater Cycling Top Long Sleeve. Condition is Used. Item has been well worn hence low starting bid. All sales final no returns, grab a bargain. Dispatched with Royal Mail 1st Class. Woolistic Fine Merino Molteni Merckx Polo. Condition is used. No returns. Rapha Logo Polo. Light Blue. Rapha Black Merino Polo, Size S Small. Condition is Used. Item has been well worn hence low starting bid. All sales final no returns, grab a bargain. Dispatched with Royal Mail 1st Class. FANTASTIC T-SHIRT BY RAPHA GREAT GRAPHIC T-SHIRT FROM RAPHA. "CONDOR JLT CELEBRATORY T-SHIRT" EXCELLENT QUALITY WITH A FANTASTIC DESIGN. GREAT BARGAIN! CHECK OUR OTHER GREAT T-SHIRTS / TOPS ON SALE NOW!. Rapha T Shirt Small Black H Van Rare . Condition is Used. A 2010 edition rapha t shirt For the London and New York clubhouses Very rare. Good condition Any questions please ask, please see my other auctions . Rapha Condor Team T Shirt NeW XS American Apparel. Dispatched with Royal Mail 1st Class. Rapha Logo Polo. Light Grey. 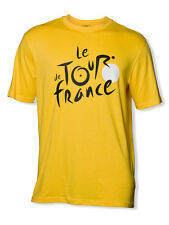 FANTASTIC T-SHIRT BY RAPHA GREAT GRAPHIC LOGO PRINT T-SHIRT BY RAPHA. "LOGO T-SHIRT" EXCELLENT QUALITY IN A FANTASTIC DESIGN. A CLASSIC FROM RAPHA. GREAT BARGAIN! CHECK OUR OTHER GREAT ALL SAINTS T-SHIRTS / TOPS ON SALE NOW!. AMAZING T-SHIRT BY RAPHA GREAT GRAPHIC T-SHIRT FROM RAPHA. "WIGGINS RACE T-SHIRT" EXCELLENT QUALITY IN A FANTASTIC DESIGN. A CLASSIC FROM RAPHA. GREAT BARGAIN! CHECK OUR OTHER GREAT T-SHIRTS / TOPS ON SALE NOW!. 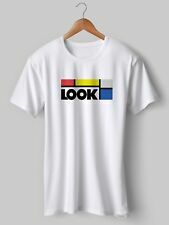 CLASSIC RAPHA T SHIRT. 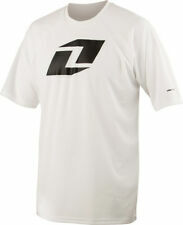 Classic Rapha Logo T Shirt. You give 100% on your bike. You shouldn't have to put the same effort into looking good off the bike. We're here to help with our premium line of casual sportswear.. What's better than your favorite t-shirt? Nothing, that's what. 100% comfort and style. .
Yellow Cotton Blend Cycling Top. You will not be disappointed or your money back! Not Photographed. For Any Other Item Or Part. If You Have Any Expectations. RNR roll off film. To fit the Scott, Smith, Oakley, 100%, Rip N Roll goggles etc. This applies to most UK bound sales and international. Buy it now £14.95. Rapha Charcoal Merino T-Shirt. Size XS. BNWT. Well used Rapha Burgundy Res Team Sky T-shirt Lombardia Red Tee Top Size S small. Item has been well worn and Condition is Used. Please refer to photos for condition as all sales are final. Dispatched with Royal Mail 1st Class. Rapha Dans Le Rouge Stripes T Shirt Blue Red Size S Small Rare. Condition is well Used. All Sales are final please refer to photos for condition as no returns accepted. Dispatched with Royal Mail 1st Class. ALTURA LADIES NIGHT VISION HIGH VIZ CYCLING SHORT SLEEVED TOP. LADIES UK 10. COLLAR TO BOTTOM HEM 28". Rapha Grey Cycle Club TShirt. Size Large BNWT.